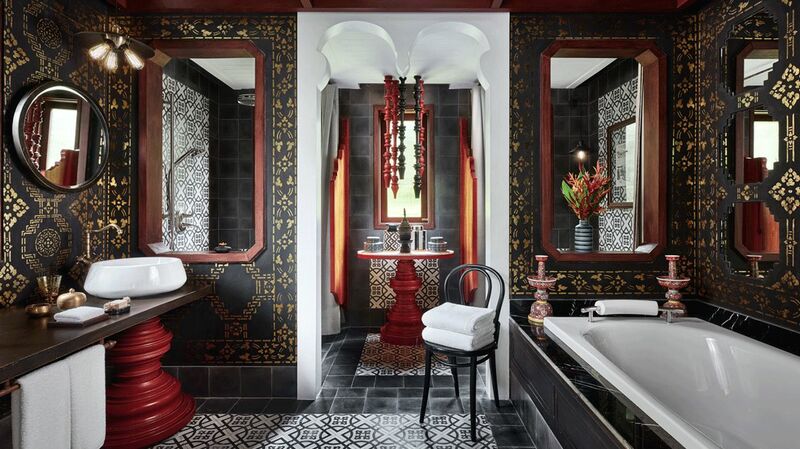 The Rosewood Luang Prabang is where luxury and style meets natural beauty. It is here where you can immerse themselves in the rich cultural and spiritual heritage, as well as, the tropical landscape of Luang Prabang. As the only luxury hotel in the vicinity, with no signs of civilization nearby, you will experience a magical sense of quietude beyond anything you can dream of. 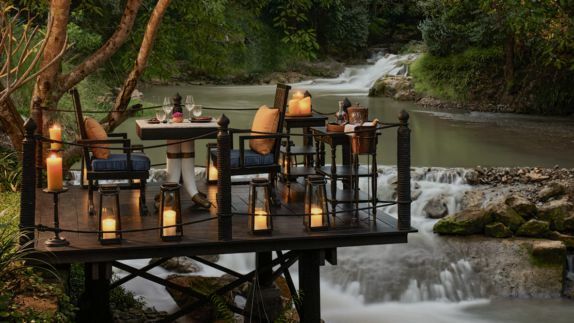 From locally sourced ingredients infused into gourmet dishes, to its indulgent spa and endless list of activities, the Rosewood Luang Prabang is an intrepid adventurer’s dream come true. Why is a stay at the glamorous Rosewood Luang Prabang hotel a must? 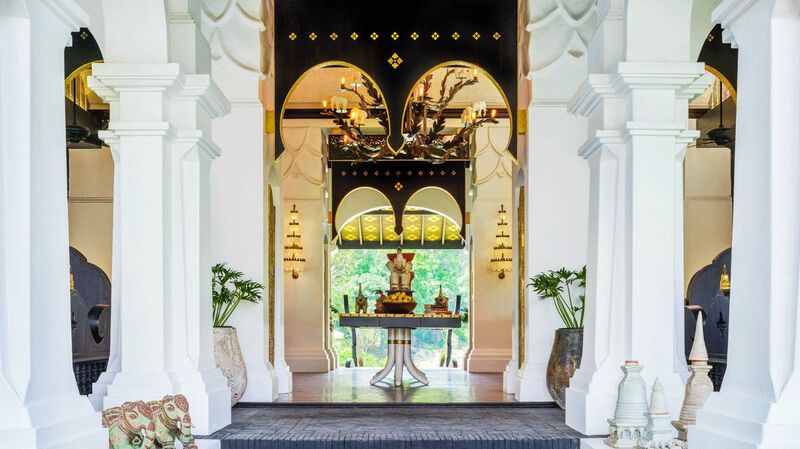 The Rosewood Luang Prabang rests just minutes away from the UNESCO World Heritage sites, temples and markets; yet, is far enough away to feel intimately secluded in the hillsides. 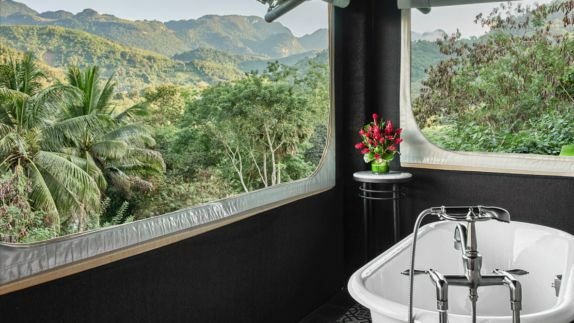 The resort’s remote location does not pose a barrier to exploring the city of Luang Prabang, as luxury car service is available for pick-up and drop-off at your convenience. 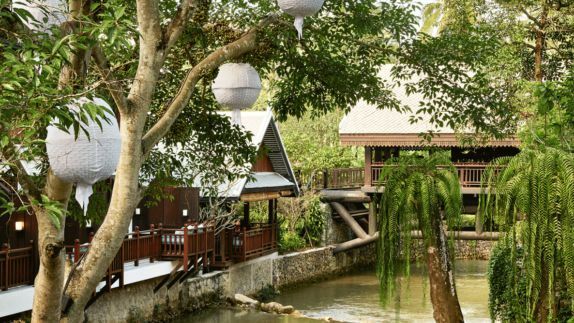 Escape the daily routine and enjoy the magic of nature surrounding the resort. 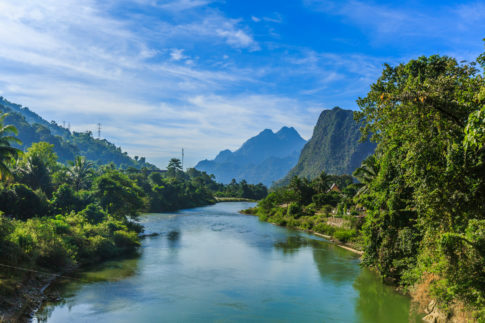 The views of the Laos countryside and historic town of Luang Prabang will leave you breathless! 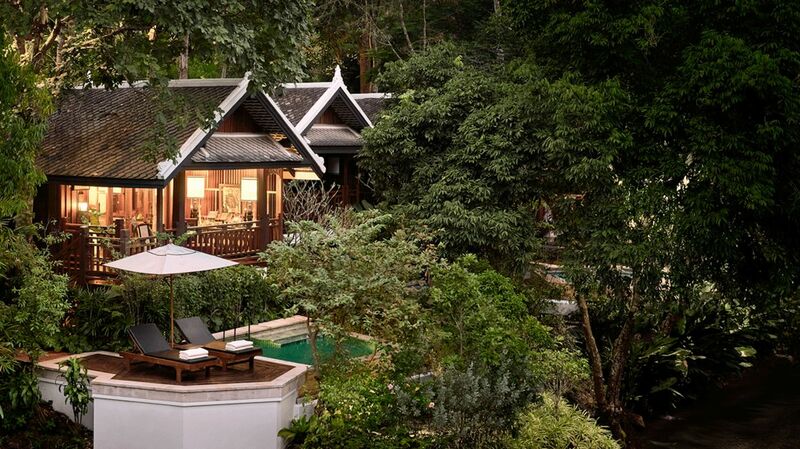 What type of room options are available at the Rosewood Luang Prabang? 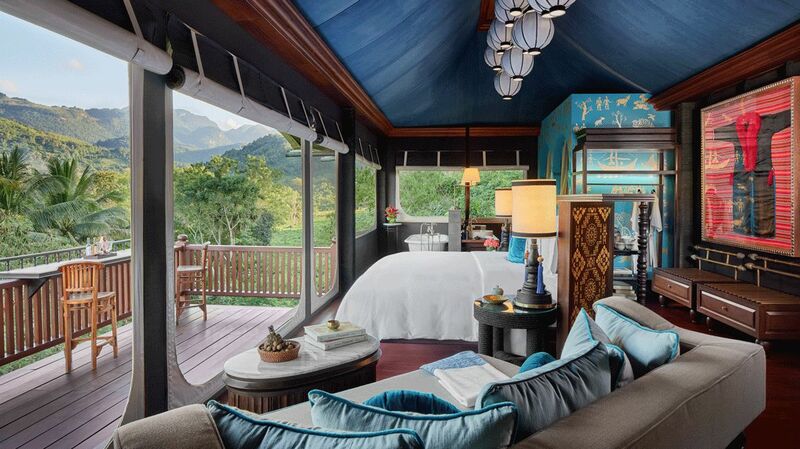 The Rosewood Luang Prabang features 23 themed rooms, ranging from Riverside Rooms to Luxury Hilltop Tents. Each of the tents are named after and decorated with relics and artefacts of ethnic tribes inhabiting Laos; combining traditional Laotian design with modern luxury. Treat yourself to the complimentary mini-bar and a coffee from the Nespresso machine to kickstart your day. 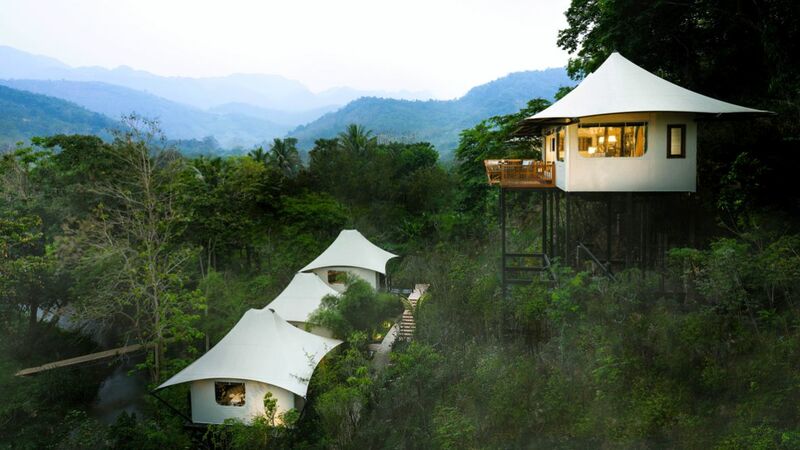 Many of the accommodations include their own private swimming pools, large balconies with unparallelled views, and other unique features special to each, yet all provide a sense of immersion in a lush tropical forest. How can I best relax after a day of exploring Luang Prabang? 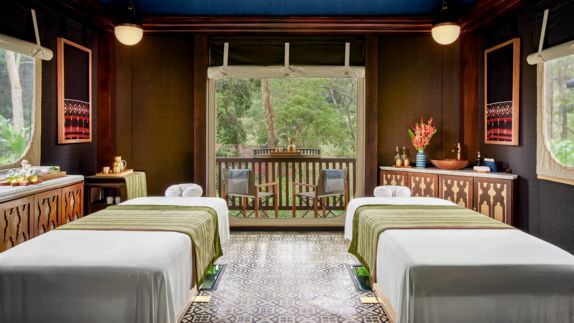 Located in a hilltop tent overlooking the jungle, the Rosewood’s Sense Spa, offers a variety of treatments including ancient Laotian remedies utilizing herbs and plants from traditional healing therapies. 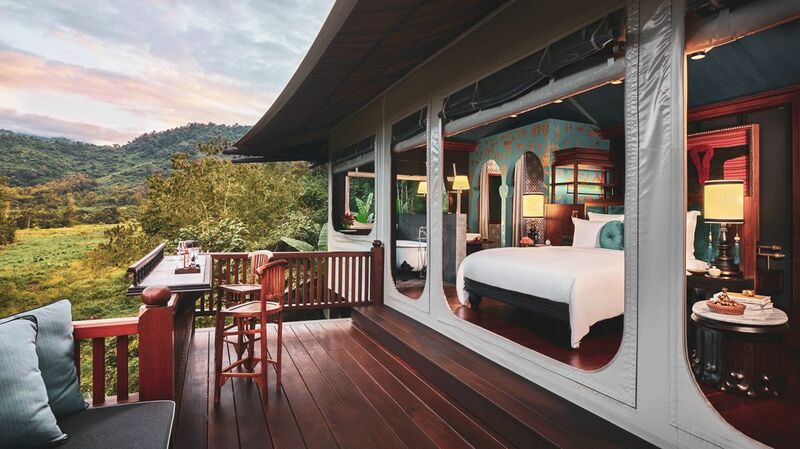 Peer through the glass-paneled floor and admire the tree canopies below as you are being treated to a blissful hot-stone massage. 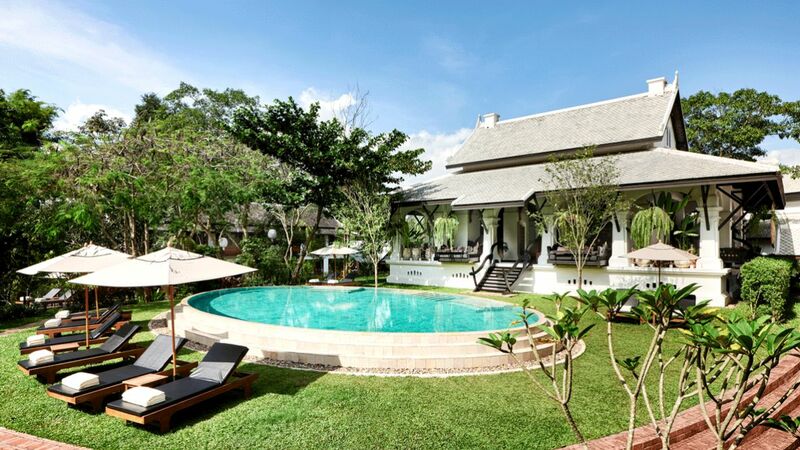 Feel the total embodiment of relaxed luxury whether you are making a splash in your private pool, basking in the ambiance at the main pool or delighting in an invigorating spa treatment at the Sense Spa. 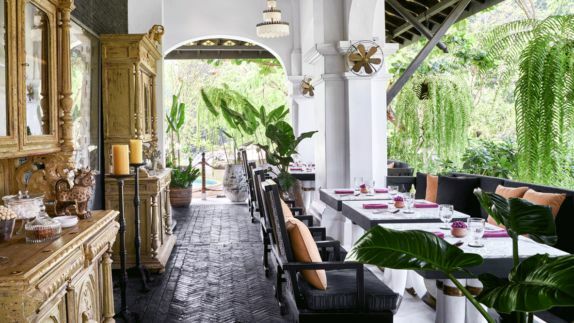 What are the dining options at the Rosewood Luang Prabang? What types of food are served? Prepare yourself for a mouth-watering gastronomic journey, as world-class chef Sebastien Rubis serves you local dishes influenced by the cuisine of historic royal courts, with a French twist. Rosewood’s program supports the local community with its “farm-to-table” dining concept that emphasizes locally-sourced foods. Guest can also forage for herbs, roots and flowers in the forests to be included in the masterful cuisines curated by Chef Rubis. 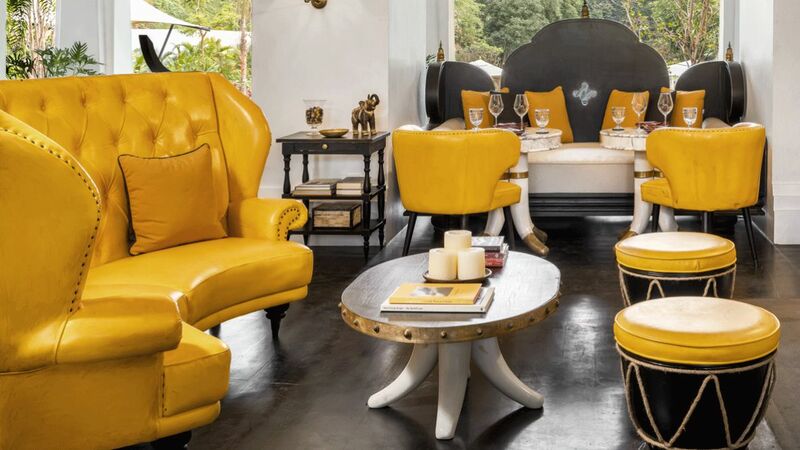 Enjoy your dining experience in the Great House, or retreat to an intimate setting in your personal villa – the choice is yours. 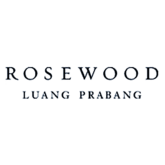 What types of activities are available during my stay at the Rosewood Luang Prabang? 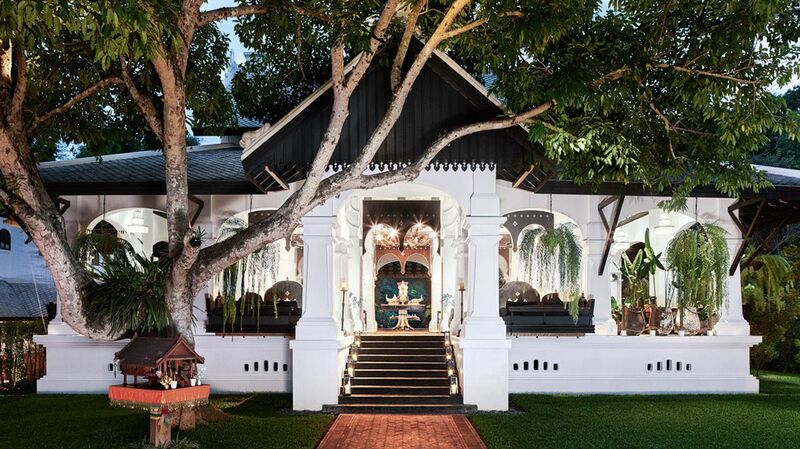 The Rosewood is all about providing you the best luxurious experience in Laos. The team will arrange bespoke experiences from sunset cruises to heritage tours discovering the hidden secrets of Luang Prabang and food tours to give you a taste of the delicacies and unusual flavors of Northern Laos. For the nature lovers, take a mountain bike trail through remote mountain villages or visit a nearby wildlife sanctuary. There are endless things to do in the surrounding area, or you can simply unwind in your luxurious room, the refreshing pool, or tranquil spa.